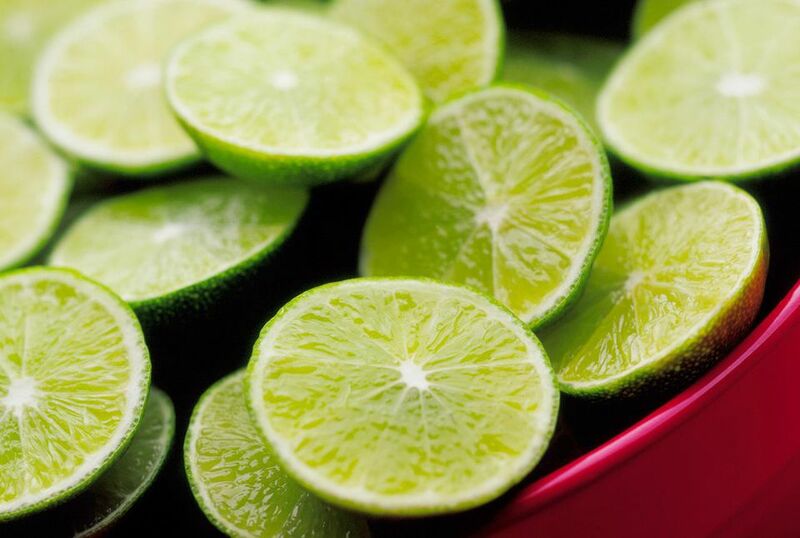 Key limes are also known as Mexican lime and West Indies lime. Cultivated for thousands of years in the Indo-Malayan region, this variety has long been treasured for its fruit and decorative foliage. They are smaller and have more seeds than the more common Persian lime. The distinct flavor of these limes makes them heavily sought after especially for dishes such as Key Lime Pie. The Key lime made its way to North Africa and the Near East via Arabian traders. It was then carried on to Palestine and Mediterranean Europe by the Crusaders. Columbus is credited with bringing the Key lime to Hispaniola (now known as Haiti), where it was carried on by Spanish settlers to Florida. It flourished in South Florida, particularly the Florida Keys, hence the current common name of Key lime. Due to hurricane-depleted soils, locals switched from pineapple commercial crops to limes in 1906, and business boomed until a hurricane once again reared and wiped out the lime groves. They were never to be restored. Today, most Key limes come from Mexico. Key limes are much smaller (ping-pong to golfball-sized) than Persian limes, nearly spherical, thin-skinned, and often contain a few seeds. Green key limes are actually immature fruits, prized for their acidity. As they ripen to a yellow color, the acid content diminishes greatly, resulting in a sweeter fruit. The juice of a green Key lime is known for its tart flavor. While Key limes are juicier than their Persian counterparts the size difference means that a Persian lime has more juice than a Key lime. If you're substituting Key Limes in a recipe that calls for Persian lime (or just limes) you'll need to know exactly how much juice the recipe requires rather than going by the number of limes juiced. Fresh Key lime is preferred for flavoring of marinades, making limeade, and garnishing drinks and plates due to its tantalizing bouquet and unique flavor. Due to its scarcity, the Key lime is more difficult to find outside of Florida and California markets and may be available only seasonally and/or in gourmet markets. However, many large grocery chains now carry bottled Key lime juice in the canned fruit aisle near bottled lemon juice. As Key Limes are not a common ingredient their price can vary by season and location. Buying the bottles of the juice may be a more cost-effective option for many. The juice is used for syrups and of course, Key Lime Pie. Alas, most commercially available Key lime pies these days are made from the frozen concentrate of the Persian lime, not the Key lime. If you've never had a true Key lime pie it's worth seeking out. Did You Know Bananas Are Actually Herbs?